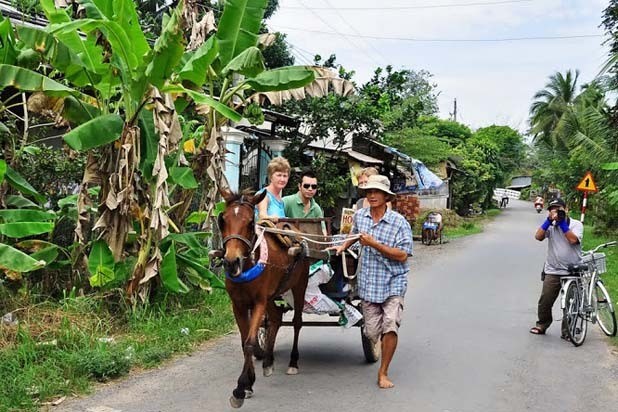 How to arrive in Cai Be ? 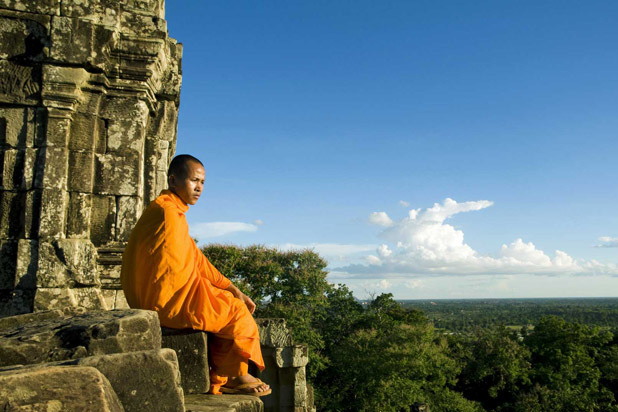 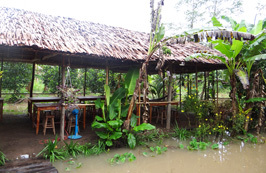 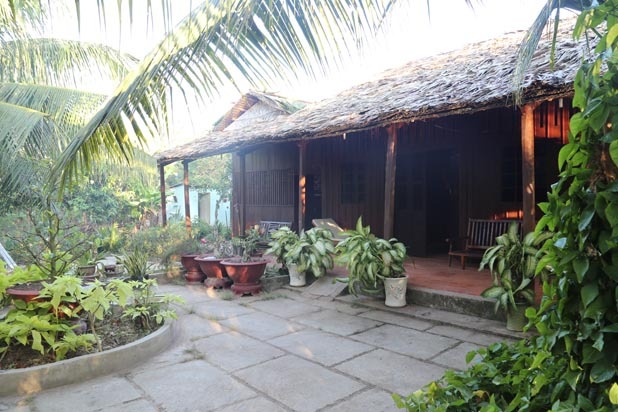 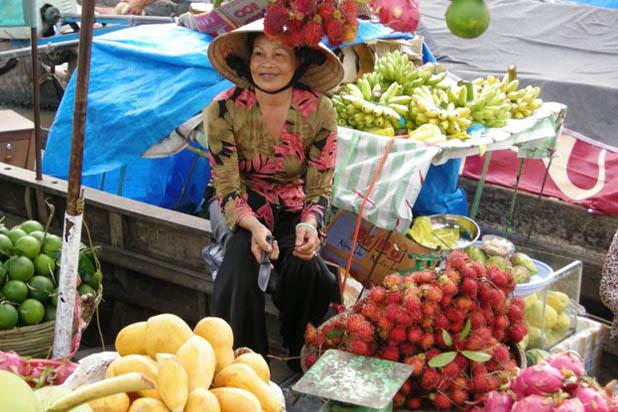 Roughly 2.5 hour drive by car from Ho Chi Minh City, Cai Be is a different world to enjoy a relaxed and happy life. 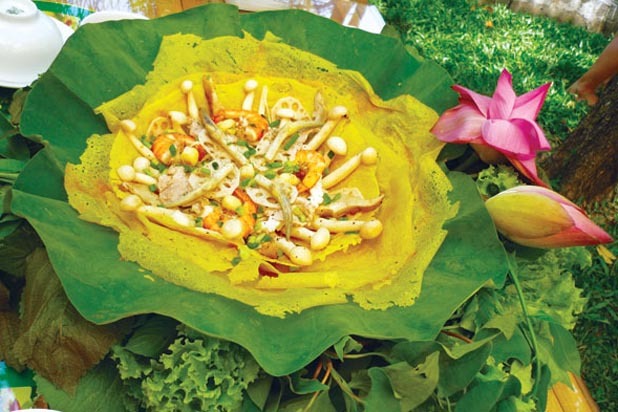 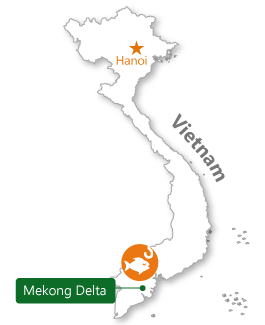 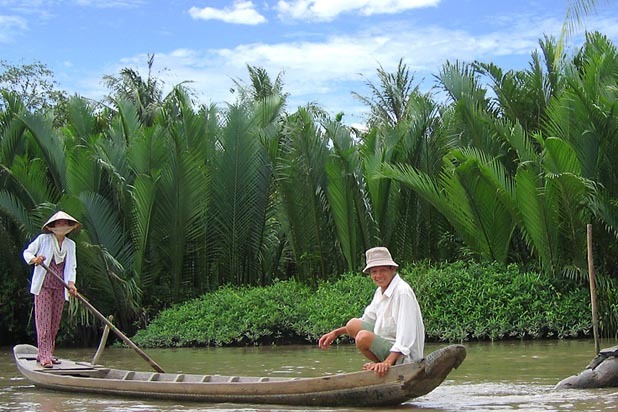 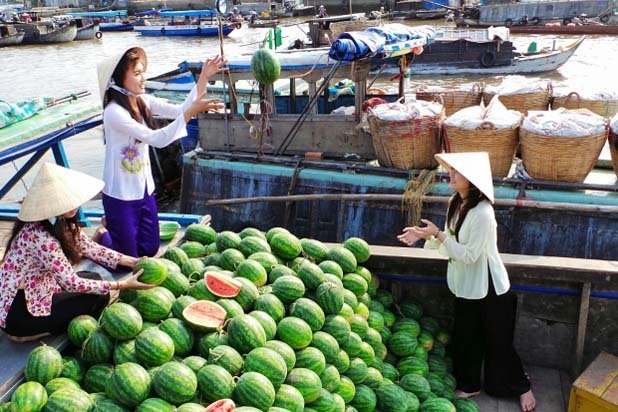 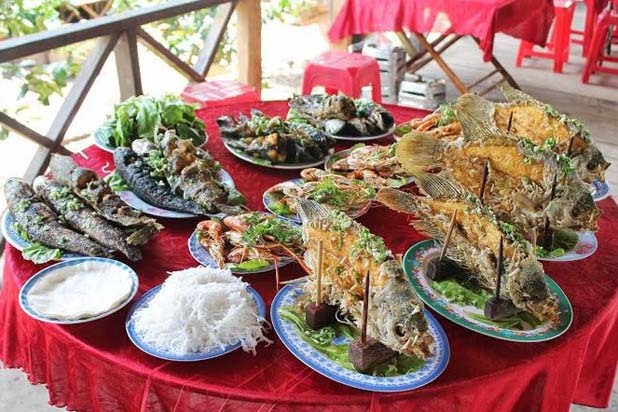 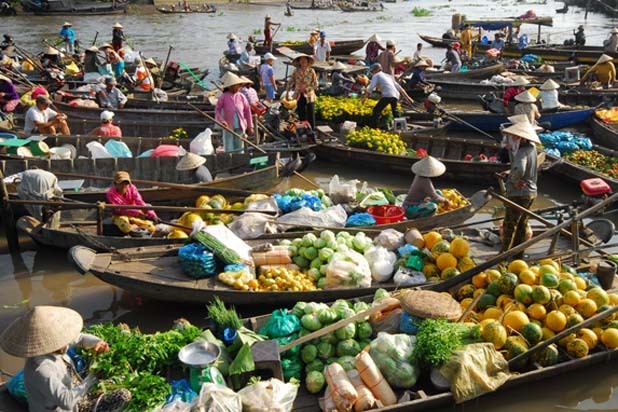 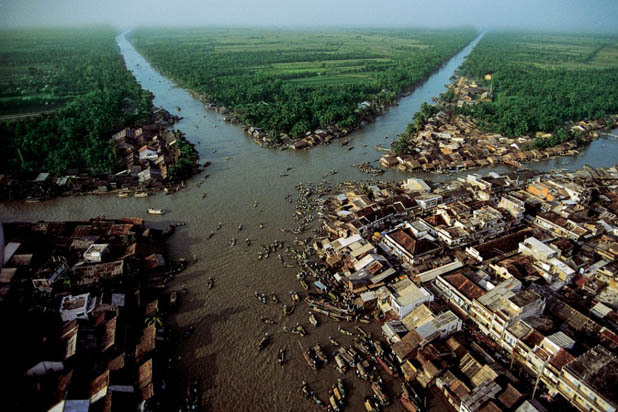 It is a typical image of Mekong Delta where water and fish is an essential source of life. 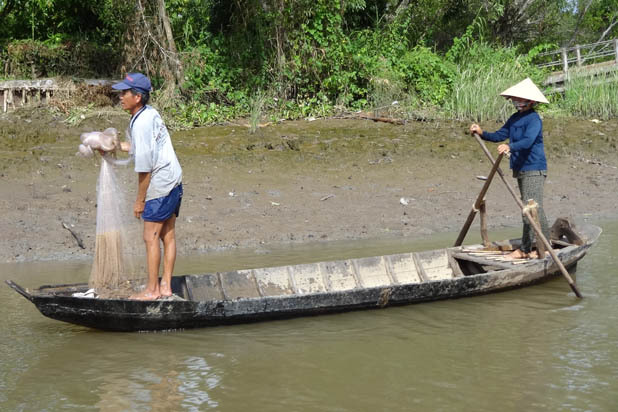 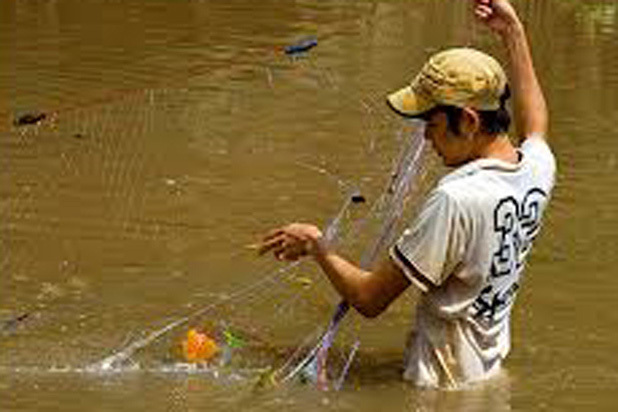 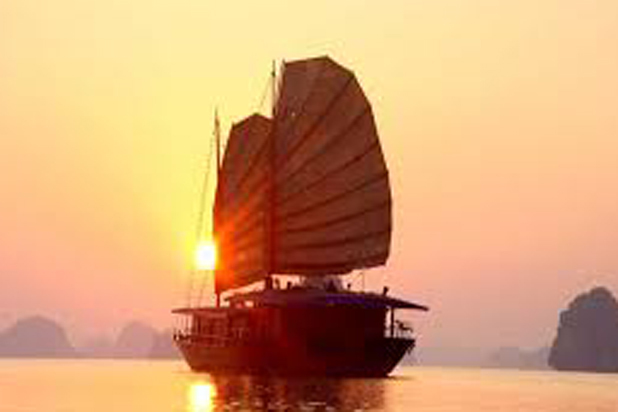 Vietnamese people have a variety of ways to catch fish: by fishing net, rods, bamboo traps or just by hand. 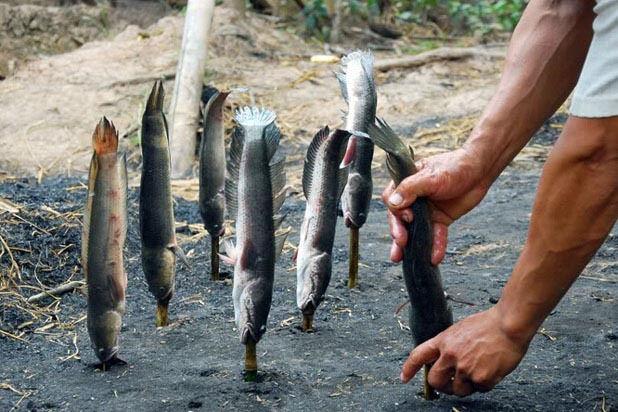 Use some funny tools to move water out of a canal and jump into, some fish hide in the brown mud and it is fantastic to find one.